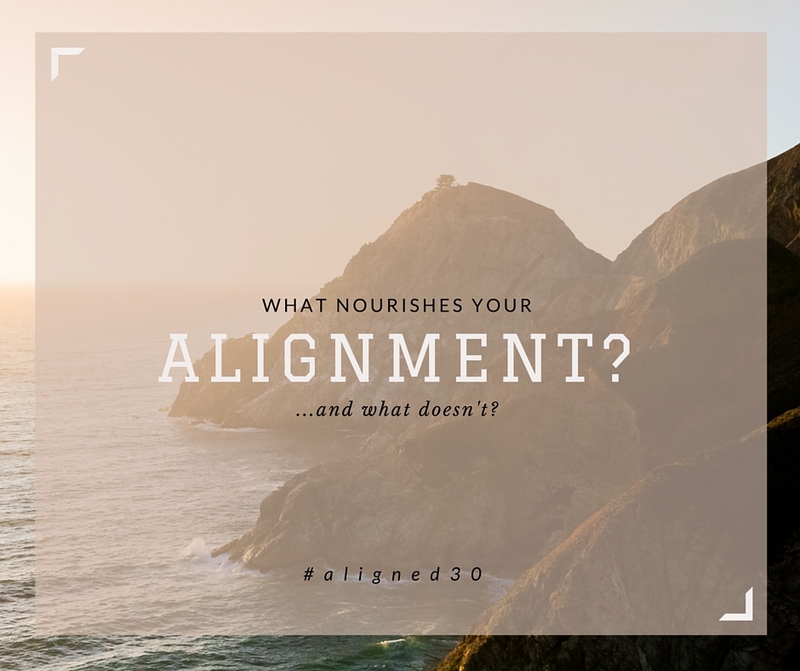 As I was looking at the #Aligned30 challenge for myself I looked at activities and aspects in my life that nurture a strong sense of alignment with my higher intentions and purpose and aspects that have a negative impact or lead to misalignment. I created a list for myself and I thought I would share it. There may be activities that resonate with you and there may be ones that you disagree with. Pretty much any of these could be turned into #aligned30 challenge activities. Examples: No smart phone in bed for 30 days straight, spend 15 minutes in nature for next 30 days, Journal for 10 minutes each morning for the next 30 days, intentionally do something nice for a stranger every day for the next 30 days. Let us know if you have any to add. Are you taking on the challenge? Tell us and tweet #aligned30 with your commitment or questions.